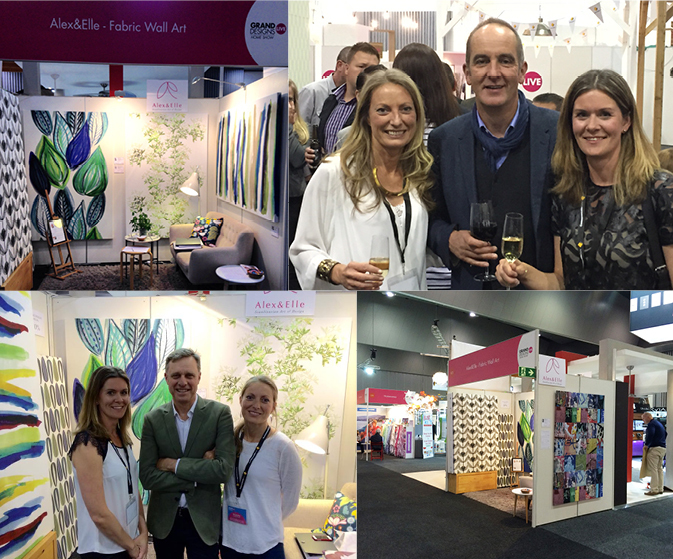 The Grand Designs Live Home Show a couple of weekends ago was a success for Alex&Elle. It was the first time we exhibited our fabric wall art to the public. The response was overwhelming! We were busy the whole weekend presenting our designs and taking orders. Thank you so much to everyone that stopped by and for your encouraging words. On the first night we had the opportunity to have a drink with Mr Grand Designs, Kevin McCloud, and later on during the weekend Peter Maddison also stopped by our stand for a chat. The design that by far caught the most visitors' attention, was GRAFFITI by Matilda Olsson. The design is Matilda's collage of images from the Berlin wall. The show will be back again next year. If you missed this one, we might see you then!